Just as the KTown Reality Show is shooting more footage the past few weeks, a new Asian American reality show is trying to gain traction. The New York based show, dubbed “The A-Style”, features an all Asian-American cast and will follow their personal and professional lives as they climb the ladder of success in the entertainment business. All the stereotypes and preconceived notions that Asian Americans are only small business owners, dentists, nerdy number crunchers, etc… will be broken. In the trailer, the roles for each cast member are laid out : Robert Chang (aspiring leading man) , James Ian Ibabao aka Laze the Kid (rapper/ music producer) , Andy Zou (struggling actor), Kuang Chen (model / bodybuilder), Jeannette Josue (pageant model/ broadcast journalist), Danielle Yu (up and coming new model), Tomoko Hirao (the new actress) and Satoko Tokebabe Mori (recording artist/ dancer). They are all brought together by entertainment manager Sondra Anderson. The pilot for the show is scheduled for May 15, 2012. Tune in if you dare. As a former Miss USA state titleholder and a graduate from NYU with a degree in Economics, Jeannette has both brains and beauty. She has even gambled as an entrepreneur by opening her own restaurant in South Street Seaport. She currently works as a Web TV host for a sports and fitness channel. A huge step towards obtaining her goal as a well-respected News Anchor. TokeBabe is a newly signed recording artist and gifted Hip-Hop dancer with a very impressive resume. She was born in Japan and has a backup dancer for Lil Kim, Ciara, Chris Brown, and is scheduled to tour with Madonna later this year. Her debut single and music video are set to be released in March 2012 when she will return to Japan for two weeks to promote her single and conduct a Hiphop dance workshop. Look out for TokeBabe in 2012! Danielle was born in China and came to America with her parents when she was 8 and has been here ever since. She has been modeling for past 3 years and has even been featured in music videos. She is currently booked in a HSBC campaign, Rinesc, and an English textbook for the Oxford University Press. She is also pursuing her dream of acting. Tomoko is a Japanese model who’s dream is to be an actress. She continuously stays busy with auditions, and has been in music videos after finishing her acting course from the New York Film Academy. She came to America on her own to pursue her dreams and become a rising star. Kuang is model and body builder. He is Taiwanese, he was born in the USA. This accomplished model will soon hit the runway during Fashion week for AsianinNY fashion show as well as other events for 2012. Robert Chang is an American Born Chinese Actor. While attending CUNY Queens College, he earned his degree studying Media, Film, and Theatre. Robert’s mother was an actress in mainland China before immigrating to America; therefore Robert is not only living out his dream but hers as well. Robert is currently working on a high school television pilot titled “High Class Problem” as one of the leads as well as numerous films on the side. Andy is Chinese who was born in St. Louis, MO. With an intelligence far beyond his years, he graduated NYU for Experimental Theatre,and has been pursuing a career in commercial, film, and TV. He practices gymnastics and breakdancing occasionally on the side. His ultimate goal is to be a stuntman for action films. Everyone knows that the main ethnicity of the Hip-Hop community are African American, Hispanics and the occasional Caucasian, but now we can add Asian to the pool. Not only is Laze a talented artist but he is an up and coming Hip-hop producer as well. He was born in New York but is 100% Filipino. With a voice of a star and the skills comparable to to some of the best Hip-hop producers, Laze is sure to make a name for himself in the music industry. As an up and coming entertainment manager, Sondra always has her eye out for great talent. She was born in South Korea, but at the age of 2-1/2 was adopted by an American family. Even though she was raised in the American culture, her interest in finding out more about her roots became stronger as she reached adulthood. She went from hating being different to embracing and loving being Asian. Now her plans are to discover the best Asian talent that America has to offer and share them with the world. This entry was posted in tv on April 30, 2012 by Kevin Hsieh - channel APA. Far East Movement release six (6) new remixes of their song “Live My Life” featuring Justin Bieber. Previously, Redfoo of LMFAO got on a Party Rock remix. Among the people contributing remixes are Sick Individuals, 7th Heaven, Stereotypes, The Knocks, Wideboys, and JayWalker. Listen to the single fused with trance, house, dubstep, and more. That’s almost 30 minutes of high energy music. It’ll get you ready to head out to the clubs after cranking up that Dirty Bass. 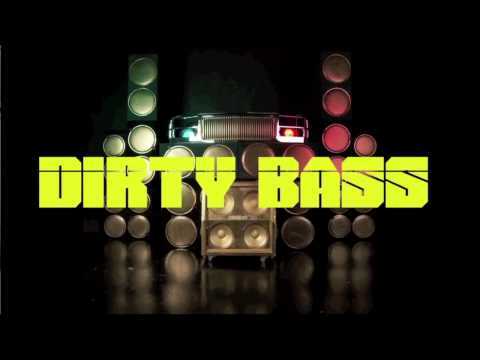 Look for the new Far East Movement album DIRTY BASS coming June 5, 2012. Three fingers up and keep it dirty. This entry was posted in music on April 30, 2012 by Kevin Hsieh - channel APA. McDonald’s has been airing commercials about their Premium Chicken Sandwich. In the commercial, an Asian guy, played by Eddie Mui, in the office decides to take lunch. His fellow co-workers warn him not to go out to eat lunch. (Apparently, those days are gone.) He doesn’t want to be chicken, he wants to eat it. Lunchtime is YOUR time. Go forth and eat chicken. See more Asian Americans in recent commercials: House of Flying Laptops : Intel Ultrabook commercial, Aziz Ansari in American Express commercial, and Vonage commercial with Rizwan Manji. This entry was posted in comedy, commercial, food on April 30, 2012 by Kevin Hsieh - channel APA. Canadian singer/songwriter/producers O Nouveau (Edi Cheung and Ramon Vitug) met each other in Toronto partying in the clubs. Edi has a background in audio engineering, singing, and music production, while Ramon specialized in theater and choreographs dance routines in his sleep. They’ve been songwriting on our own for years, and in the fall of 2011 they decided to work together on some tunes, just to see where things go. Knowing their way around a bangin’ chorus and authentic lyrics, the duo released their first single “Baby, I’ll Give It All”. 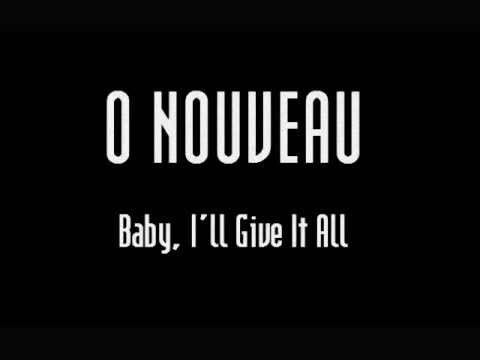 It’s catchy pop song with a touch of reggae–think Jason Mraz or Bruno Mars, just with Asian Canadians. If you like what you hear, look for a music video in May 2012 and their debut EP, Freedom, in the summer. Can we save what we are going through? Is the pain worth another try? After almost a year of waiting, the latest web series “Mister French Taste” from director Jennifer Thym (Lumina webseries and Bloodtracffick) is out. In the first episode “The Job Interview”, baby sitters are interviewed to take care of Leon Wong. Among the guest stars in Episode 1 are actress/singer Celina Jade (“Legendary Assassin”) and veteran actress Alannah Ong (“Double Happiness”). Who will make the cut as the official babysitter? Mister French Taste is an etiquette coach who is faced with the challenge of a lifetime: transforming the unruly Leon, the only son of a conservative Hong Kong family and a constant source of scandals and shame into a perfectly groomed gentleman while at the same time, trying to steal the heart of Lily, the beautiful young heiress to a Hong Kong fashion empire, educated and smart, and fluent in the art of shopping. Watch Hong Kong and France collide in this hilarious comedy of manners! This entry was posted in comedy, shorts on April 30, 2012 by Kevin Hsieh - channel APA. Director Dominic Mah released a trailer for his short film/pilot “What If People Died“. The dark comedy about hipsters, sudden death, and even suddener reincarnation has diverse ensemble cast including Jae Suh, Dwayne Perkins, Ewan Chung, Feodor Chin, Jennie Yee, Alexandra Fulton, and Karin Anna Cheung. The 29-minute film is a self-contained story that branches into a larger world. The trailer features music by MC Frontalot, Timo Chen, and Maurice Ravel as performed by Gwendolyn Mok. Look for it coming soon. This entry was posted in movies, shorts on April 30, 2012 by Kevin Hsieh - channel APA.